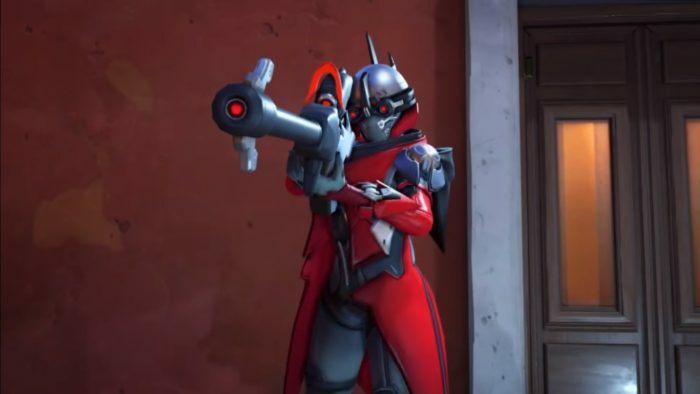 One of the new enemies in the Overwatch Retribution mode is the formidable Assassin. As her name implies, she’s a speedy warrior who befuddles your team by leaping around rooms before zooming in and lacerating an ally. Like the Witch from the Left 4 Dead games, an Assassin can easily kill an ally if she isn’t dealt with – especially on higher difficulties. As a healer, you’ll want to be sustaining an ally she pounces on, but there’s actually an easier way to stop her assault. When she’s busy slicing up one of your teammates, simply walk up to her and use your melee attack. Not only will she back off, but the melee attack will leave her wide open for a short second. You can score a few free hits before she starts bouncing around the walls again. 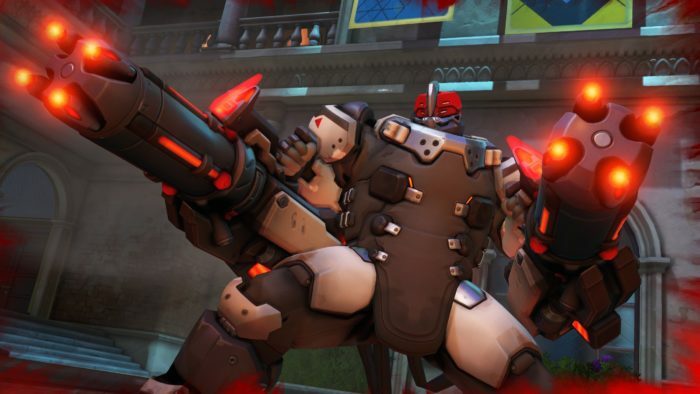 Another enemy in the Overwatch Retribution mode, the Heavy is the love child between Reinhardt and Bastion. This tanky Talon operative has whopping health and two Gatling guns, shredding anyone who dares come close to him. That being said, the best way to actually deal with this monstrosity is to hide behind cover and do not engage when it’s shooting everything like a madman. Most importantly, do not attempt to use any ultimate abilities when playing as Blackwatch agents since they all require line of sight. 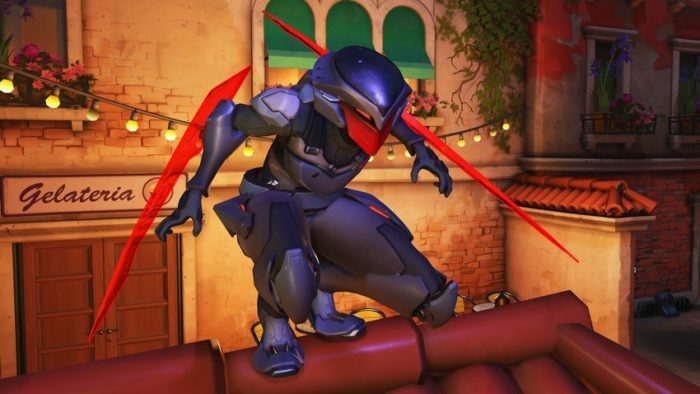 Instead, rely on Genji’s reflect and fight from a distance to keep away from danger. The Heavy has a large critical hitbox on its back, so make sure to exploit his weakness. The most important thing Moira players have to remember during the Overwatch Retribution mode is that she is a healer. 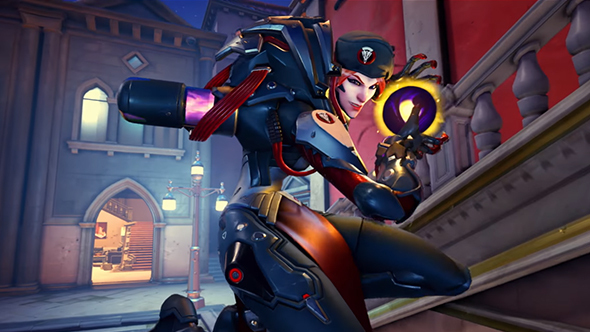 It might feel incredibly tempting to just let loose and kill enemies yourself, but she’s the only source of healing in combat – aside from Reaper’s self-heal. That being said, you should be focusing more on throwing out healing balls instead of damage orbs, keeping your team topped up to avoid any unnecessary deaths. Think of the enemies as a resource and use them to keep your meter charged up over anything else. Moreover, you shouldn’t be following any overzealous teammates who stray too far from the group and dive into a wave of angry Talon soldiers. On higher difficulties, enemies will be dealing much more damage, and you don’t want to be caught up in the midst of an ongoing crossfire. That said, use your ultimate ability to heal your squad from a distance when you can’t afford to get too close to the action. 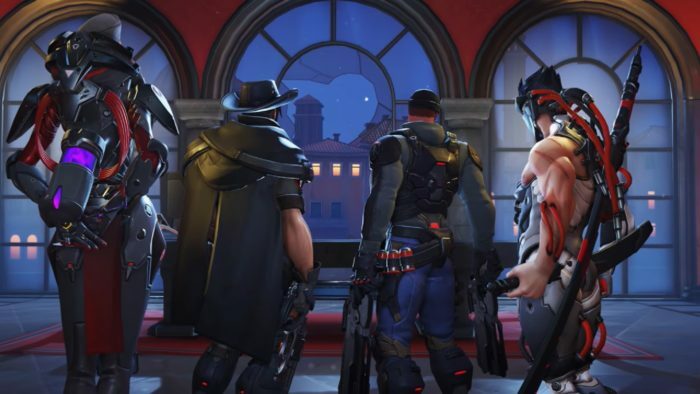 Snipers are some of the most annoying enemies you’ll face in the Overwatch Retribution event. They love to stay on the high ground and pressure your allies with their ranged shots, making it difficult to move around the field. Luckily, the Snipers love to flee if you get too close to them. As a Genji or Reaper, you should focus on moving in and getting them out of position. You should also try to draw her attention as Genji and reflect any incoming shots. Her bullets will shave off around half of her health, making it easier to dispatch the Sniper. This should go without saying, but when your ride has finally arrived, you better get on it. Your final face off with Talon is set outside, leaving you and your team wide open. After fending off a few soldiers here and there, a ship will come by and pick you up. As soon as you hear the pilot swooping in, head on to the top of the restaurant and wait for her there. Do not dive in and take on any Talon soldiers waiting for you below – they will come in waves. It’s also worth noting that your score stops increasing once the dropship has landed, so there really isn’t any other reason why you should be hanging around Italy any longer. 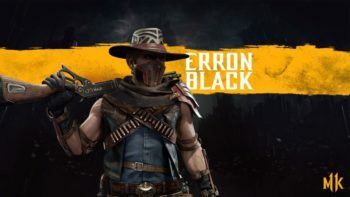 Staying behind only guarantees death, especially when you’ll be fighting against three Snipers, two Heavies, and a handful of Assassins. Don’t waste all of your hard work and just get on the ship!